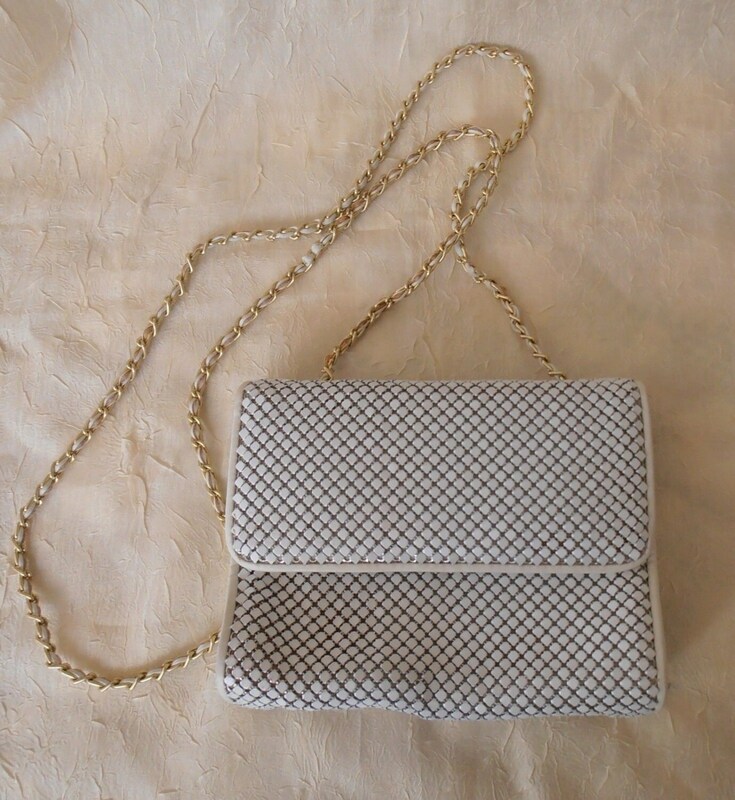 Pretty Vintage White Metal Mesh Shoulder bag by Whiting and Davis. 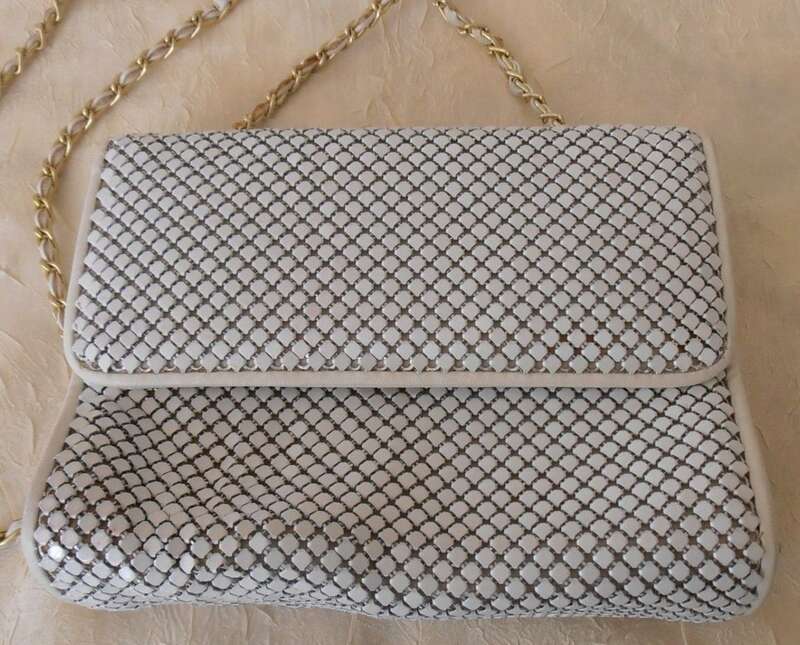 A hip bag for the next dressy event! 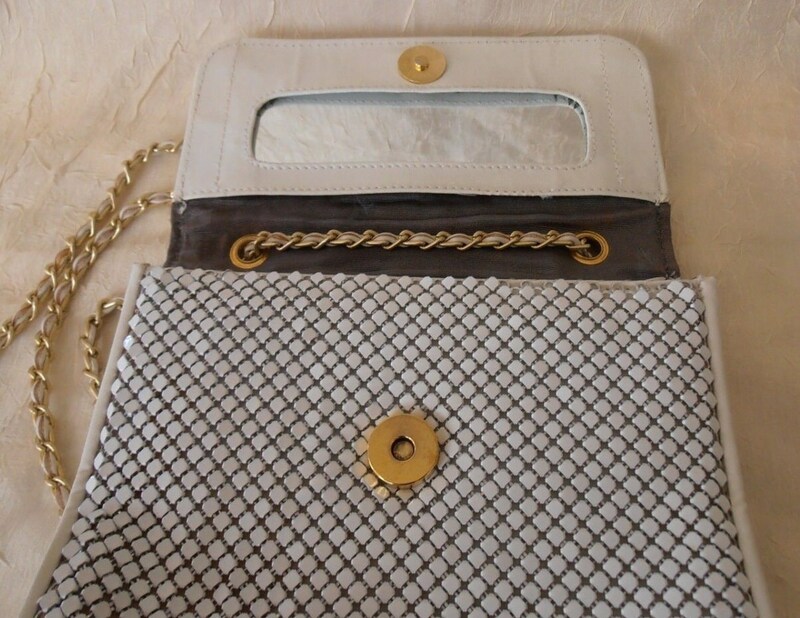 Flap with magnetic closure, white faux leather sides, and a gold tone chain shoulder strap. 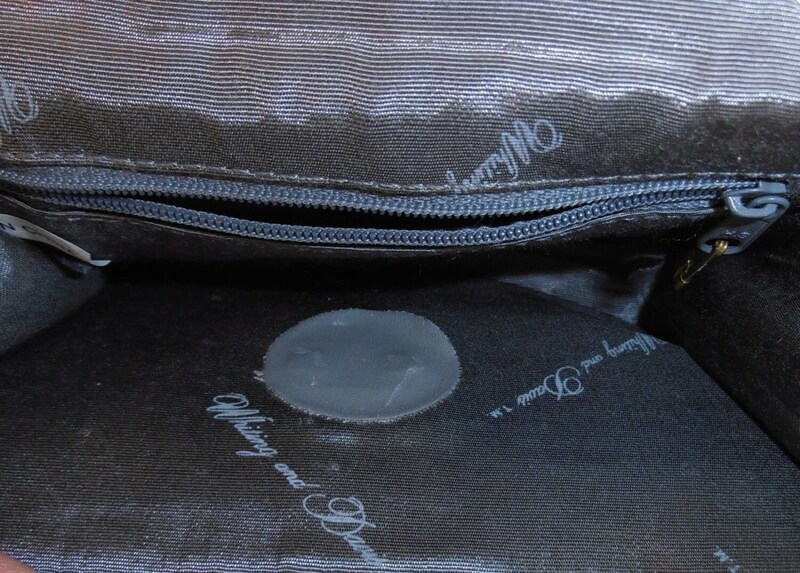 The interior has one main compartment with side zipper compartment and mirror set on inside of flap; it is lined with Whiting & Davis signature fabric lining. It measures 6 ¾ inches long wide, 5 ½ inches high and 2 inches deep with 24 inch drop strap. 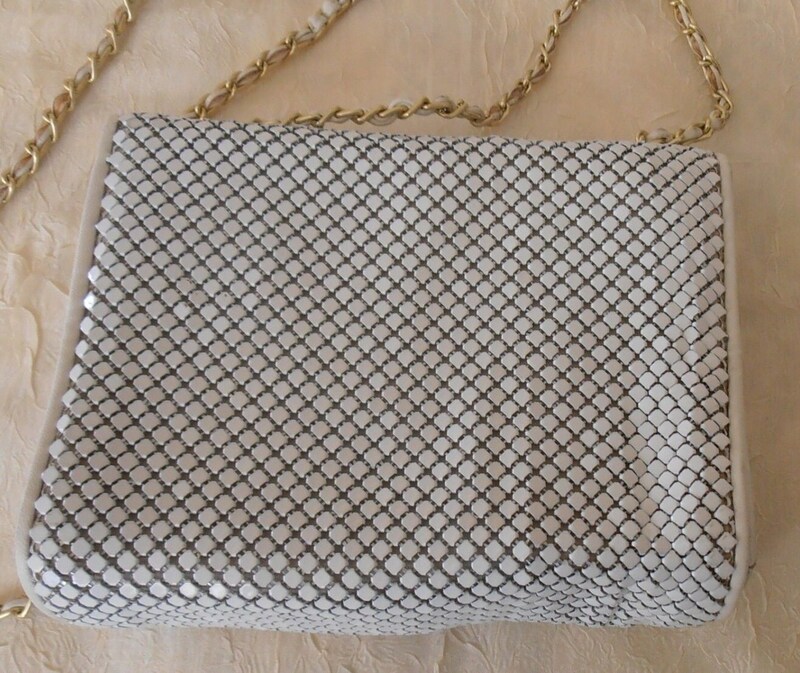 It is in very good vintage condition!